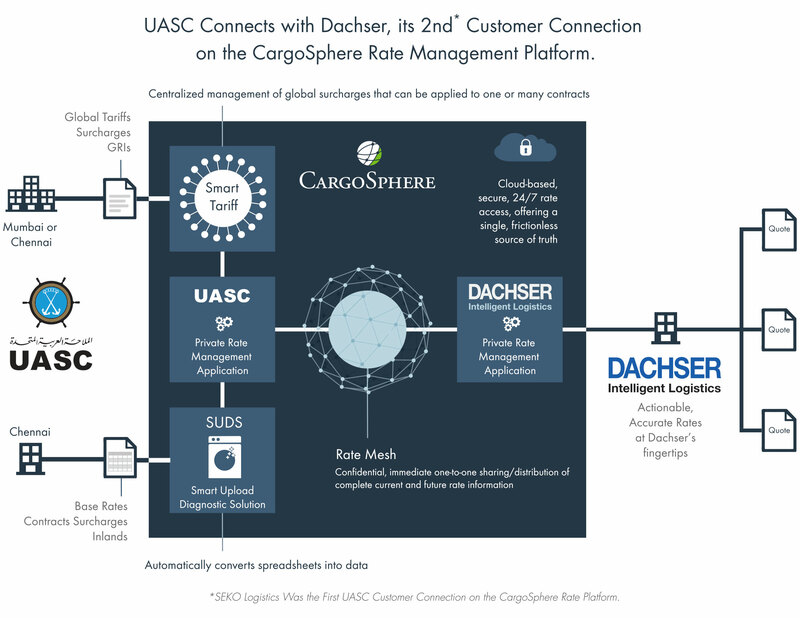 Chapel Hill, North Carolina, June 21, 2016 – CargoSphere, the leading provider of frictionless rate distribution and cloud-based global freight rate management, today announces that UASC, a leading global ocean carrier, has quickly implemented its second CargoSphere Rate-Mesh connection with Dachser Logistics, a global third party logistics service provider (LSP). CargoSphere’s collaborative rate technology enables UASC to electronically distribute confidential rates in real-time, directly into Dachser’s rate database, so rates are ready to use immediately following their release by UASC. Initially, Dachser is receiving Asia-Europe freight rates and Asia-Mediterranean rates are coming soon. Carrier rate volatility has accelerated, putting pressure on carriers and ocean transportation buyers to manage continuous rate updates efficiently and in a timely manner. Effective rate management is important for both ocean transportation buyers and sellers. Carriers need to get competitive rate updates into buyers’ hands quickly to stimulate business, and LSP buyers need timely access to accurate bottom-line costs for quoting to customers. Relentless rate adjustments are costly for all global shipping industry participants. The established process is a big hurdle to winning business and commercial success. 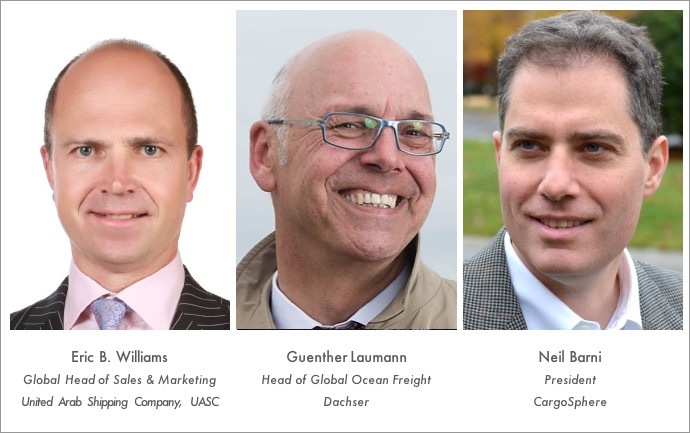 “We see nothing but huge benefits to the industry from direct rate connections initiating between ocean carriers and their NVO and forwarder customers. UASC’s Eric Williams has a forward-thinking view of technology and the benefits it delivers. We’re pleased to have this strong partnership which is leading the industry to technology that greatly boosts productivity and the opportunity for improved bottom-line results. Changing the status quo is not easy, but in this case, we are achieving extremely positive disruption with more to come,” said Neil Barni, President of CargoSphere.